Nafplio is the first capital of Greece, it’s a picturesque city with significant history and deeply rooted cultural traditions. 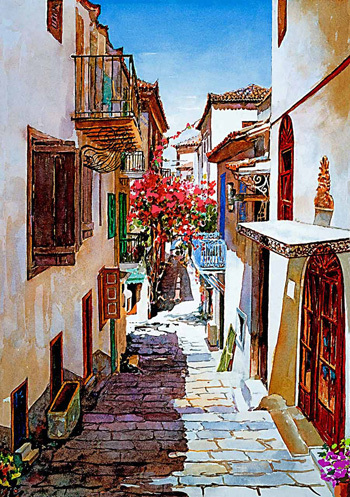 Nafplio is changing through the years, but always fascinates every visitor leaving in the end a magic sense of romance and dream…Built at the foot of two forts, Palamidi and Acronafplia, today it has a population of around 15,000 inhabitants and a growing tourism. 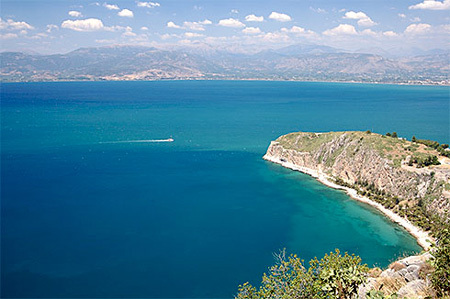 Nafplio is a neoclassical 19-th century city with great tradition and history. The city combines a set of images that fascinates visitors and is a popular destination all year round. Every corner of Nafplio is full of interesting sights to visit. Palamidi – the castle of Palamidi lies on a high hill(with 999 steps) to the east side of Acronafplia, typical baroque fortress. 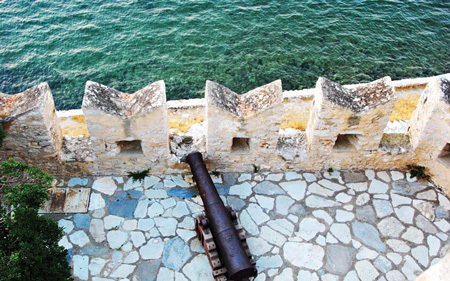 The visitors can see from there a panoramic breathtaking view of the old city and the Argolic gulf. 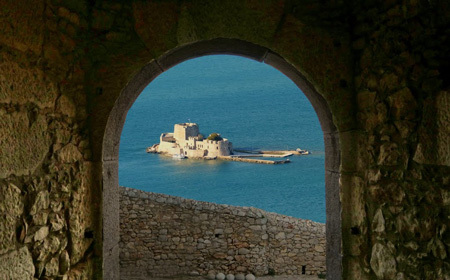 Bourtzi – is located in the middle of the harbor of Nafplio, built on the small island Agios Theodoros. 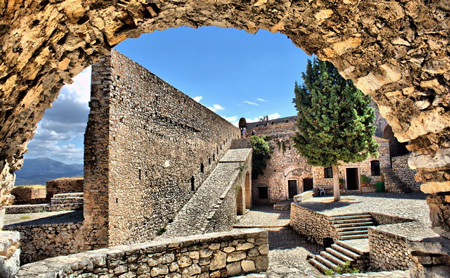 Acronafplia – is the most ancient acropolis of Nafplio. Arvanitia – the city beach, offers a romantic and peaceful walk next to the sea if one wants to relax. 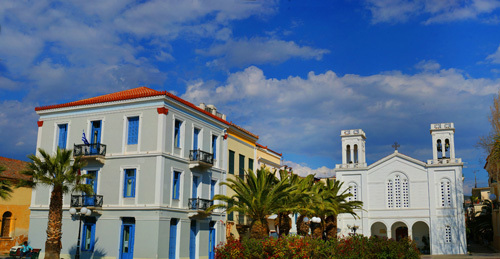 Sintagmatos square – the most central and historical square of the old city of Nafplio. There is the Archaeological museum which is hosted in an old medieval Venetian building.